The day is finally here! 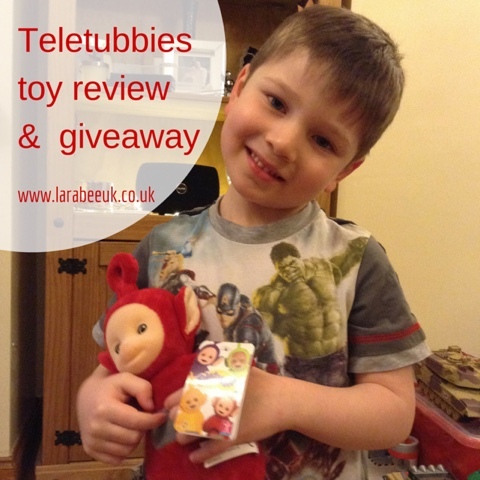 I can finally reveal what was in our fabulous Teletubbies box! 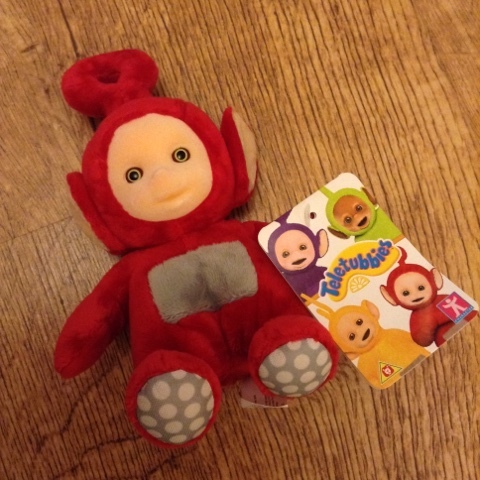 First there was a Talking teletubbie soft toy RRP £9.99 as modelled by T in the main photo, they are a decent size for small hands, I'm sure a lot of these will become toddlers comforters this year! Made from soft, plush fabric, they are quite a bargain at £9.99 I think. 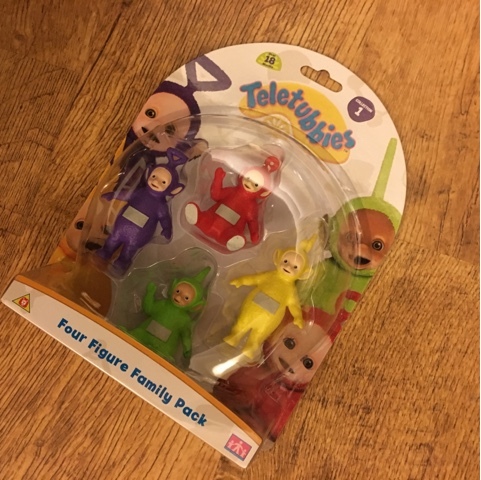 Next we opened the 4 figure family pack RRP £9.99 4 good sized character figures perfect for some small world play. I've decided to give our set away, so enter our giveaway below if you'd like to win them. 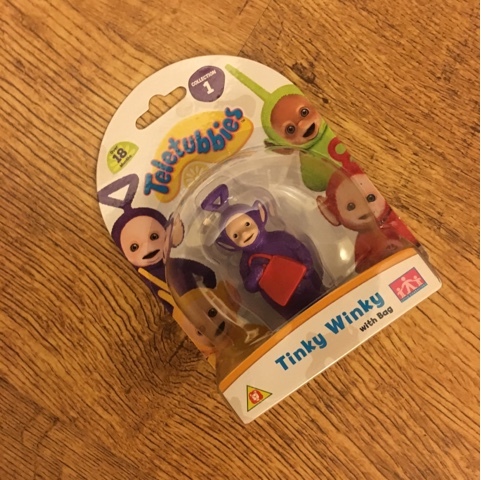 Also inside our box was an individual Tinky Winky collectable figure RRP £3.99, slightly larger than the family pack, these cute little character figures would make perfect little rewards! 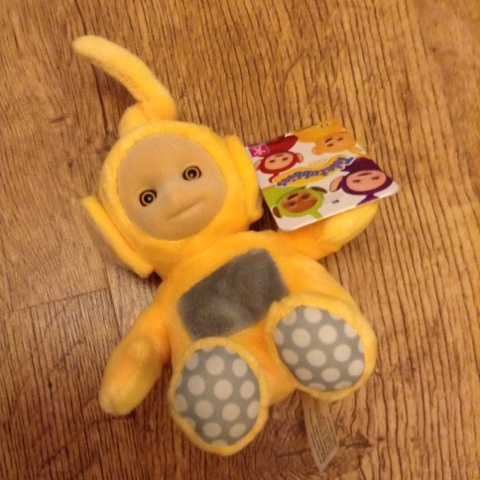 Hiding at the bottom of our box were 3 super soft collectables RRP £6.99 I love these, they are really cute and just perfect for little ones, I know T would have loved one when he was small, I'm sure he'd have carried it around with him all the time! I can't decide which one I like the most. 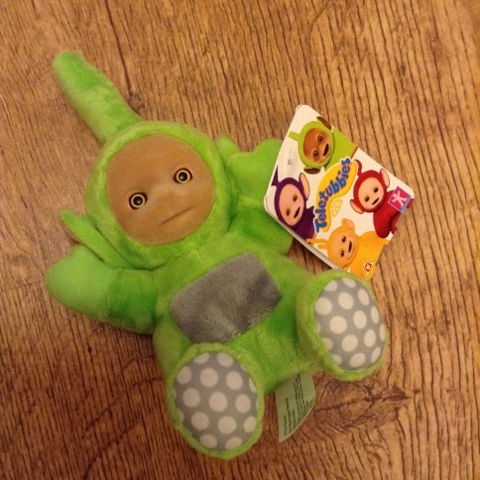 The toys are in the shops now for your little teletubbie fans. I hope they like them as much as we do! 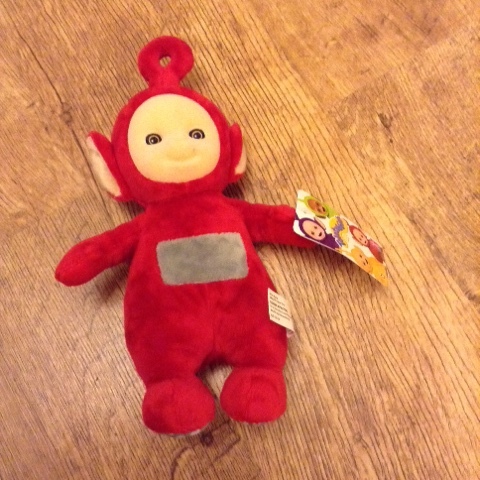 my little Grandson loves Teletubbies!